Head of the Ice Navigation Research Laboratory, Department of Ice Conditions and Forecasts, Arctic and Antarctic Research Institute (AARI. 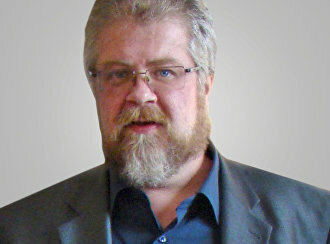 Born April 6, 1962, in Tambov. Graduated from the Geography Department of Leningrad State University with a degree in Oceanology in 1985. After graduation, joined the AARI and has worked there until today. His research activities include studying ice cover as a navigatory environment. His research has practical use for specialized hydrometeorological support for navigation in the Arctic and freezing seas of Russia. He wrote 65 research papers and four monographs. Participated in over 50 expeditions on icebreakers and ice-class transport ships in the Arctic Basin, the Northern Sea Route and freezing seas of Russia. He is a full member of the Russian Geographical Society (1980), a Distinguished Polar Explorer of Russia and a Distinguished Roshydromet Employee. He was awarded two medals of the Order for Services to the Fatherland I and II degree.